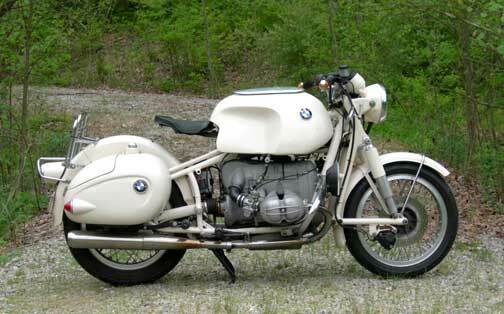 BMW Conversion. 1978 R80 drive train in a 1955 frame. 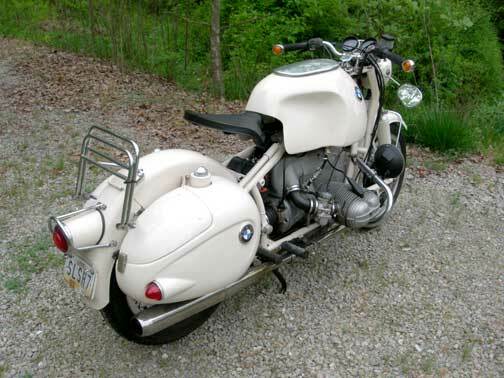 All- BMW, really, but from different decades. That's a Brembo disc brake on the Earl's fork. 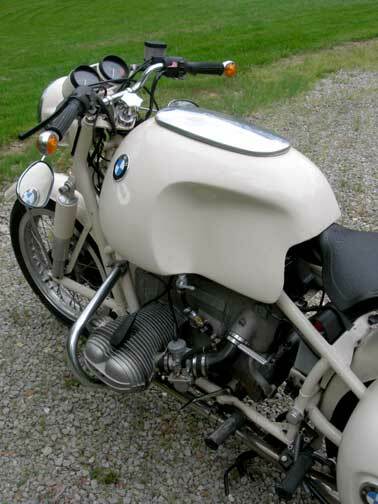 One of Carl Heinrich's eight gallon gas tanks, R-90 bars and many popular period mods. The original engine conversion was done by Motoraad in St. Louis.